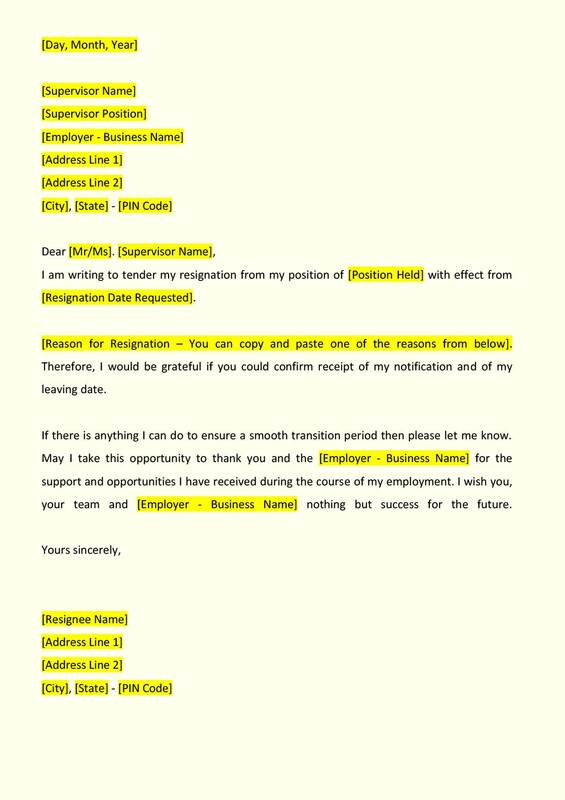 A resignation letter is an official letter sent by an employee when they wanted to quit, to their employer giving notice that they will no longer be working at the company after the notice period. A resignation letter contains the purpose behind the resignation, date of resignation and a formal thanks to the employer for maintaining a positive relationship with the employer. An employer accepts the resignation letter if it is having valid notice period and under rules and provides the employee with a final date of employment. It is a decent way to request a resignation from employment using a formal resignation letter. 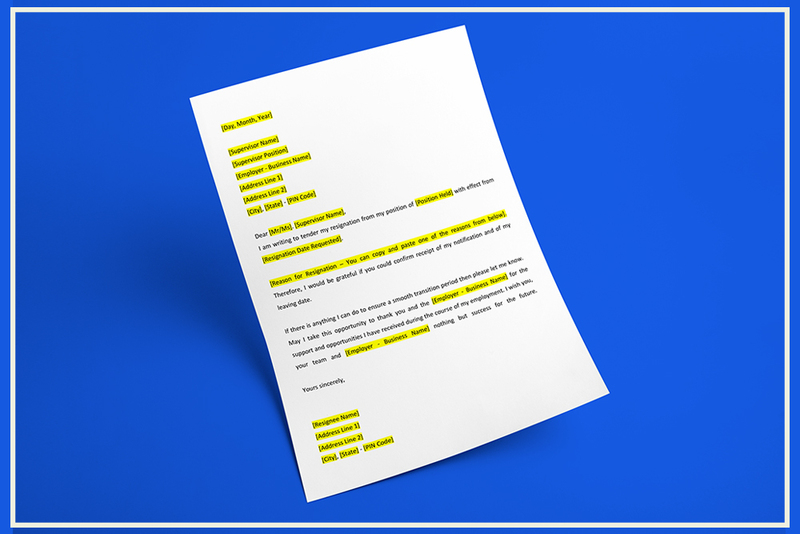 This resignation letter template and generator can be utilized by an employee to easily generate a resignation letter giving specific reasons. Do not use it as a chance to complain, criticize the company or other collogues. Take a print out once you have prepared a draft on a plain paper, sign it and submit to the employer. Resignation letter can also be sent via email to the HR Manager of the company. You should always provide the employer with sufficient notice period as per rules while preparing a resignation letter. While writing the resignation letter, you need a plain paper, you need to be direct and to the point and try to be professional. This resignation letter should be duly signed with the specific date you are agreeing to work until and submit to the employer. You can hand over to the HR department or the authorized person. One copy of the document you can keep and another is submitted to the employer. You should request them to give an acknowledgment proof of receiving the resignation letter. If it is mail online, then a request confirming receipt of resignation can be requested from the recipient. A resignation letter is only a request to resign or relieve you from the duty, as per the contract made at the time of employment or appointment letter. It is up to the Employer who has hired you to accept or reject, subject to the terms of the contract done. Be sure to thoroughly read the resignation letter before submitting to make sure all information is accurate especially the date and notice period and there are no typos.